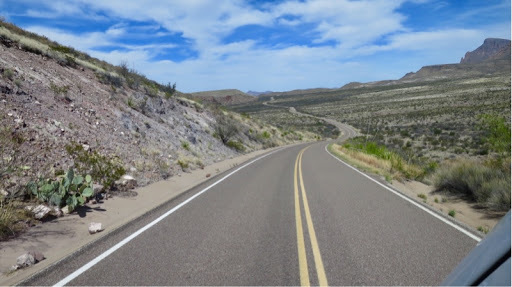 After Columbus, New Mexico we continued east and entered west Texas at El Paso, on down the road we spent the first night at Davis Mountains State Park Campground, Fort Davis, Texas. 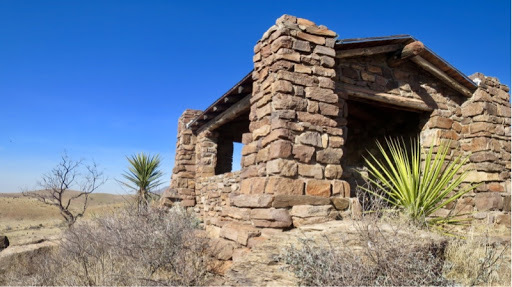 In the morning we drove Skyline Drive and saw an old CCC project. 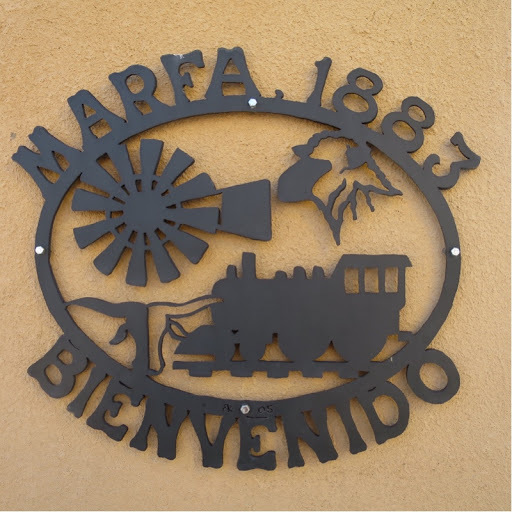 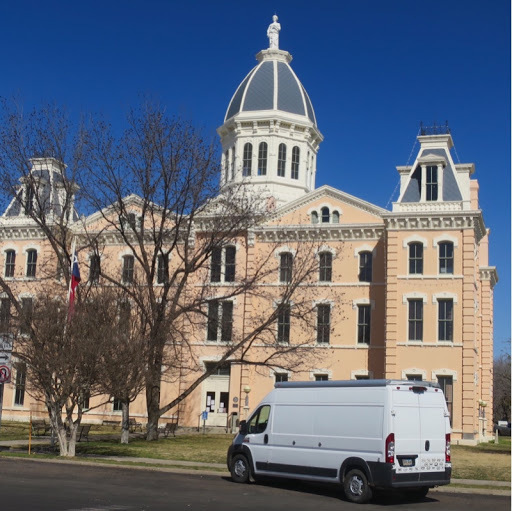 Next up, the small town of Marfa, and lucky us - the DQ was open! 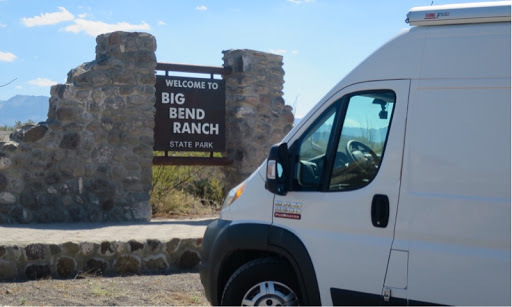 After finishing off our Blizzards, we headed for Big Bend Ranch State Park. 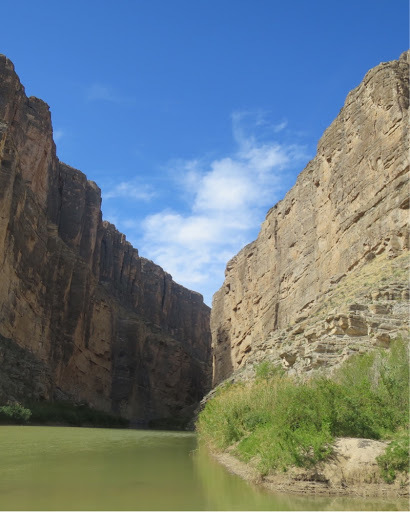 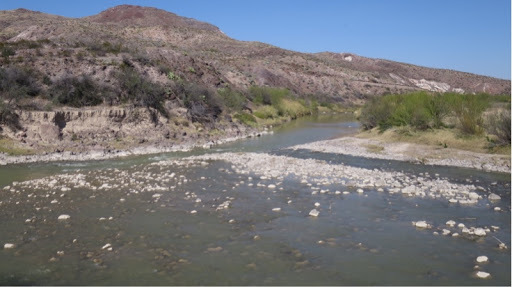 Our campsite for the night was fifty feet from the Rio Grande River (border between US & Mexico). 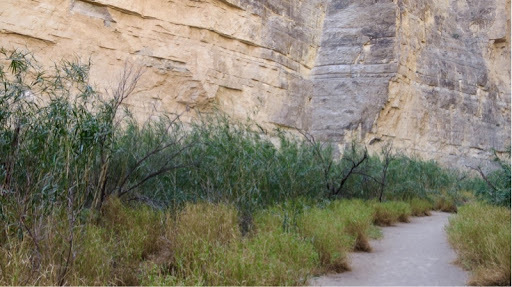 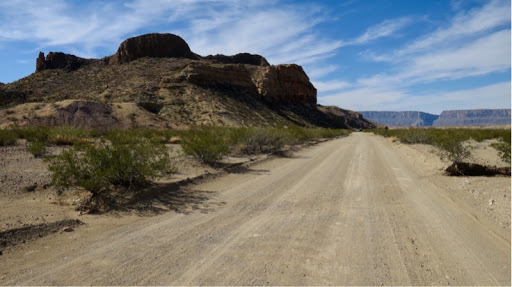 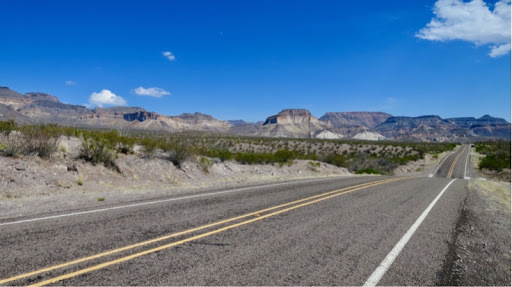 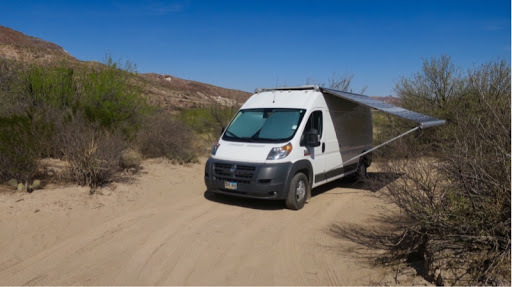 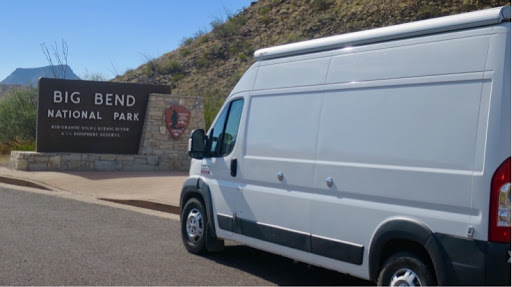 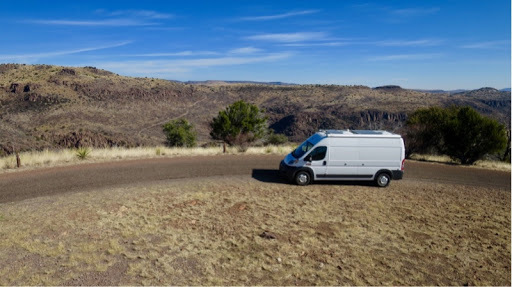 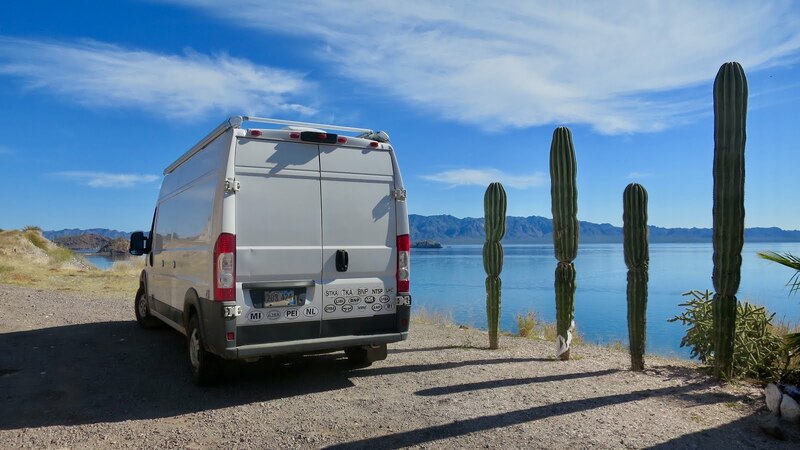 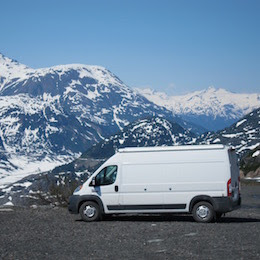 Next, Big Bend National Park - where we got one of the last five campsites in the entire park. 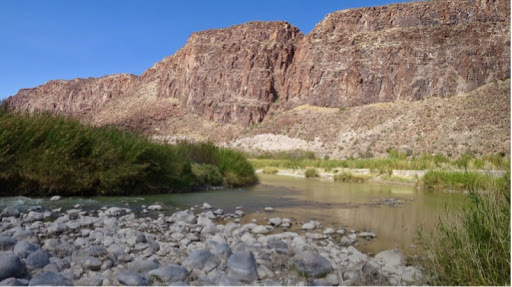 Did a nice canyon hike, although it was a tab warm (95) - not bad in the shade, but in the sun it was hot! 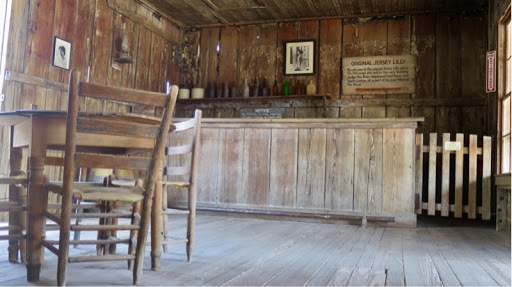 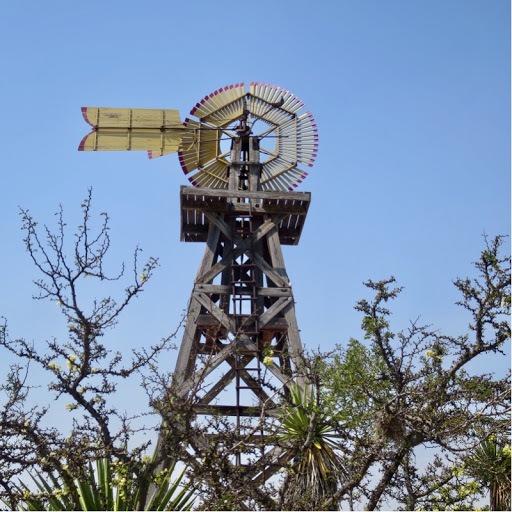 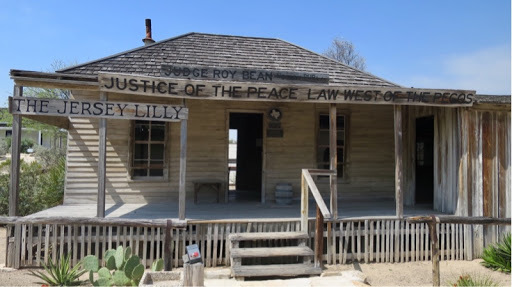 The next day, shortly after leaving Big Bend we stoped in Langtry, TX - the little town where Judge Roy Bean, the "Law West of the Pecos", had his saloon and practiced law. 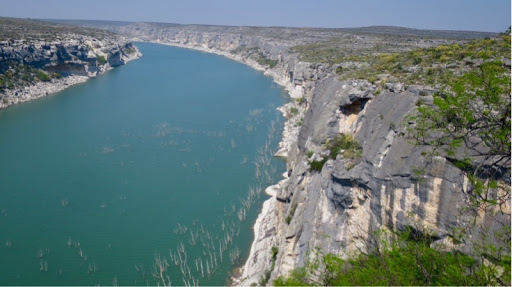 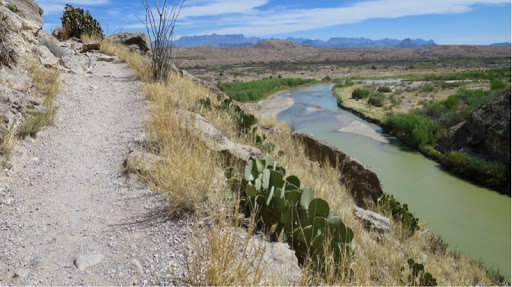 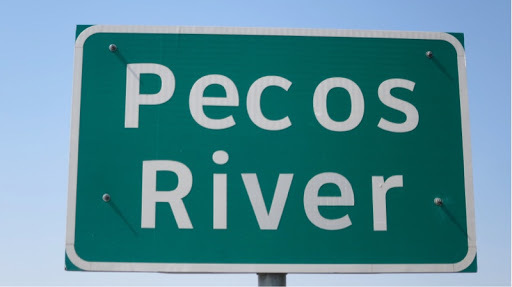 Then we crossed the Pecos River and the west Texas portion of our journey ends.